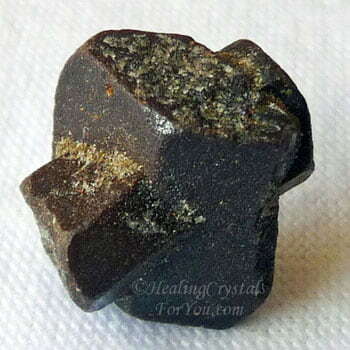 Staurolite stones are quite unique in that they naturally form a cross within the stone. They are also known as fairy stones or as the fairy cross because they embody an energy that will help you to make contact with beings from the natural world. They have a soothing calming energy that helps to relieve stress, anxiety and fear, and they are useful to help you to stop smoking. 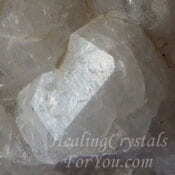 These cross stones also have other excellent qualities that make them worth using, including being a good grounding stone and they have a number of healing attributes. 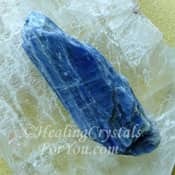 Their metaphysical properties may help those of you who have an interest in conservation, and would like to accentuate that vibration in your life. 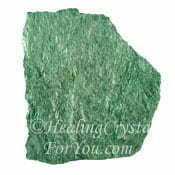 By keeping some of these stones in your environment, this may also benefit the life of those who are close to you. This is because the energy of the fairy stones may help to create a connection to the natural world, in those who feel its resonance. 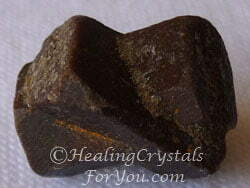 Staurolite stones are found in Switzerland, Russia, Australia, Brazil and the USA. Their color varies according to locality, and they may be red brown, dark brown, or brownish black in color. 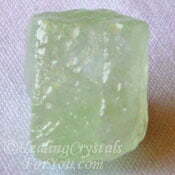 The meaning of the name of these interesting stones, comes from the Greek word Stauros, which means cross. 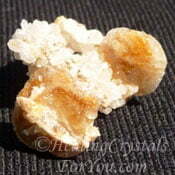 They are also known as fairy stones or fairy crosses. These stones are prismatic, and they commonly occur as two pieces that intersect on an angle that makes them form a cross within the stone. They do not always form clear crosses and the vibration is the same regardless of it having a 'perfect' cross showing in the stone. There are quite a few stories about the history of the use of these stones. While some are hard to substantiate, we do know that they have been in use since at least the time of Christ, and maybe a long time before. There are a number of tales associated with these stones, and one story says that these stones were first formed when the fairies cried when they heard the news of Christ's death, which is why they form in a cross. 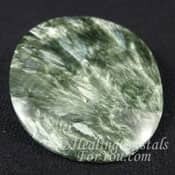 The energy of these stones is known to be helpful for anyone who would like to work with beings who inhabit the natural world, but they will also aid you to make contact with other beings here on earth, including animal and plant spirits. 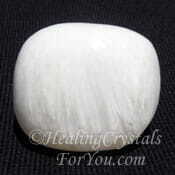 Fairy stones have a lovely soothing energy that will help you to feel calm and centered within your physical body, and bring improved emotional health. 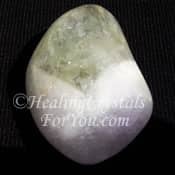 They are strong stones to aid spiritual grounding, and this grounding to Mother Gaia also aids you to make a stronger connection with beings in the natural world, such as the devic realm, the world of the fairies and with the spirits of animals and plants. 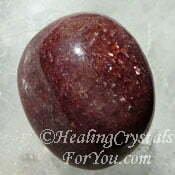 The history of these stones tells about how they will aid you to make contact with fairies and nature spirits. This has become so well known through time, that they gained the name fairy crosses. This because this was how they were predominantly used in the distant past. 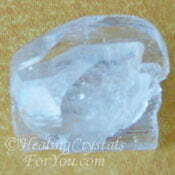 They are known to be used as an amulet for good luck, and are also used by practitioners of white magic. Many people today refuse to allow themselves to believe in these beings, partly because it conflicts with religious beliefs. 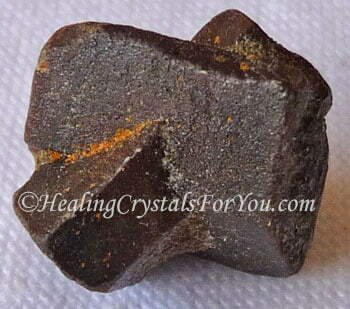 Shop for pieces of genuine Staurolite Fairy Cross Stone At Exquisite Crystals. It is interesting that other stories about these stones tell us that they are also known as a symbol of Christ, due to the cross within the stone. They are known as stones that will allow you to accept more easily, the gifts that Jesus brought to the world. 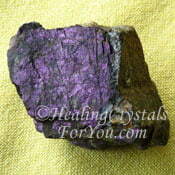 So you can see that the stories associated with these stones cover both sides of the spectrum. 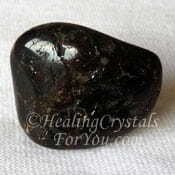 Whatever your beliefs are, Staurolite stones resonate a strong energy within the heart chakra and bring through a powerful energy of unconditional love for others and for the earth. 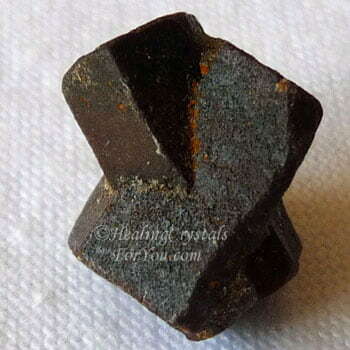 The natural cross in Staurolite stones are quite unique and their vibration will help you to make contact with beings from the natural world. If you have an interest in conservation, and would like to accentuate that vibration in your life, keep these stones in your environment. 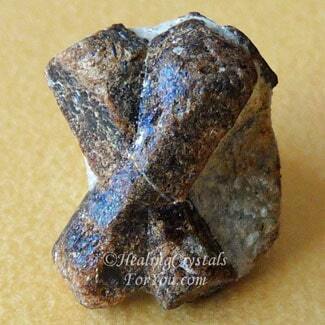 Fairy cross stones may assist you to give up smoking, as their energy aids those with addictions. 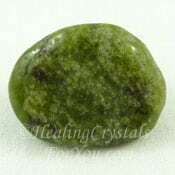 Their energy is calming and soothing and this may help to relieve stress and anxiety and they are a good grounding stone. 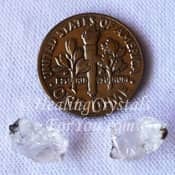 While Staurolite jewelry is not very common, but you will see some pieces selling. If you can't find a piece of jewelry, you could get some silver wire and wrap it yourself, or you may be able to find someone who can make it into a pendant for you. Many bead shops, who sell the silver wire, run classes where you can learn how to do it yourself. 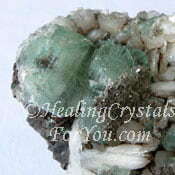 Then the next time you find a nice stone you can make it into a piece of jewelry for yourself. I also have macrame crystal holders as well, and you may be able to get these from bead shops or crystal shops where they sell tumble stones. I often wear a piece of Staurolite in a macrame pouch close to my heart and the energy is really calming, and quite grounding, and lovely to use for meditation. 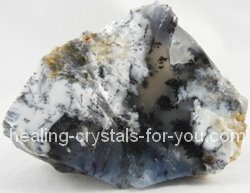 How Will Staurolite Help You? They will ground you by moving excess energy down via the base or root chakra to the earth star chakra and Mother Gaia. 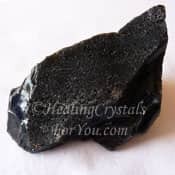 Using Staurolite stones is beneficial to aid you to feel more grounded as they help you to make a connection with the electromagnetic field of the earth. 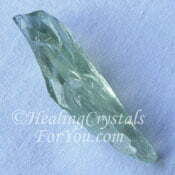 A consequence of using them may be that you will feel safer and protected from harm. 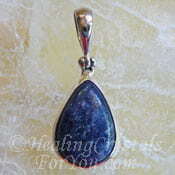 By helping to soothe your emotions, these stones will help you to improve your overall emotional well-being. 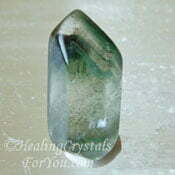 They are known to help you to feel less afraid, and calmer during times when you might normally feel fearful. 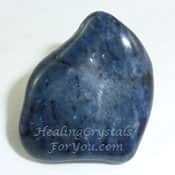 These stones have a good effect on the health of the physical body and are excellent stones to aid you to feel calmer and more relaxed. 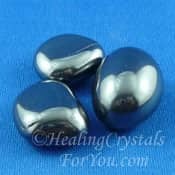 It is helpful to keep one of these stones on you, and in particular to wear it close to the center of the body near your heart, as this is one of the methods to relieve your stress. They also have healing attributes in the physical body. From historical tales, they were said to have been used during the crusades, to aid Richard the Lionheart to heal. 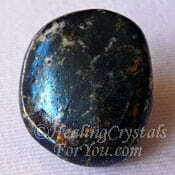 These stones also have an energy that will help you to let go of addictions, including to help you to give up smoking, and you can place one under the pillow to help you to have lucid dreams. 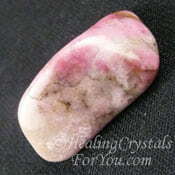 If you have lost something and want help to find it, fairy stones are known to be able to help you to find lost objects, so this is a helpful aspect of their energy. They may also help you to make better use of your time. 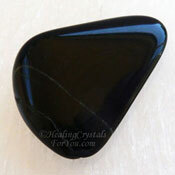 It is also a common effect of using these stones, to become more aware of the way that you treat the earth. For some this may foster an interest in conservationism, and a desire to make sure that you do all you can to ensure that the environment you live in is not effected detrimentally by your actions. 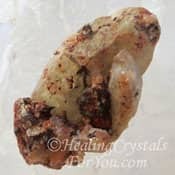 Keeping a piece of Staurolite in your home, will allow you to be aware of beings in the natural world that may already be there, and that you have just not been aware of. Fairies, nature spirits, and elemental beings, members of the Devic realm, have a sweet energy generally, but there are tales of them being mean and ill tempered. But that has never happened to me perhaps because I keep my environment safe and healthy. 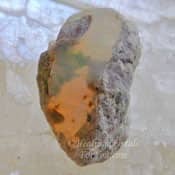 I have found that keeping a fairy stone close by brings through a powerful positive energy, and they can be used in the home to encourage contact with beings in the natural world. By practicing organic gardening and healthy practices in and around your home, as I do, creates a safe garden with plants that grow in a way that is friendly and healthy. This allows the animals and birds that visit the garden to do so in safety, without harsh chemicals hurting them. So of course the other beings in the natural world, such as fairies are happy living there too. The trees, herbs and vegetables that grow in my garden are safe to touch and to eat, as I have a strong belief in making sure that I do no damage to the earth. 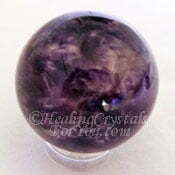 It is interesting that even though they have a strong earth based energy that will help with spiritual grounding, they will also help you to make a connection with the spiritual realms. 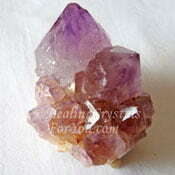 In particular, they resonate within the third eye chakra and the crown chakra. 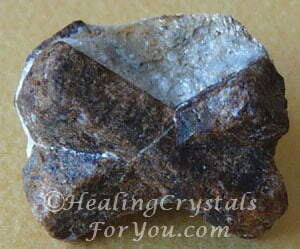 Staurolite stones may be placed under your pillow if you would like their help to induce lucid dreaming, or to assist with astral traveling. They have an excellent action to aid your action to see psychically, a gift that is commonly known as clairvoyance or psychic visions. 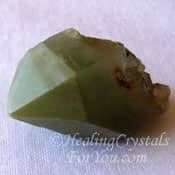 Like most crystals these stones are also excellent to use in meditation, and they have some unusual attributes that makes them a little different to many stones. One of the ways they will help you, is to allow you to choose where you want to travel in meditation, and with whom you want to make contact. This is because they seems to have a specific energy, which I refer to as helping your inner compass. 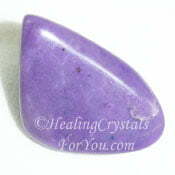 This means they help you to know where you are going in meditation and actually end up there. 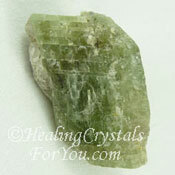 They help to give greater clarity to what you see when in meditation. "Look deep into nature, and then you will understand everything better." Albert Einstein. 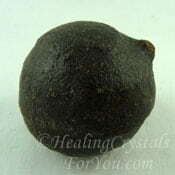 Combine it with Merlinite, if you would like to make contact with the fairies or other nature spirits that live near you. If you are a gardener or a conservationist you will probably like the idea of accentuating the energy of these stones to attract these beings. 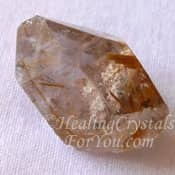 There are also some more specific stones that you might like to use with your Staurolite or fairy stone for this purpose, that will aid you to attract nature spirits. 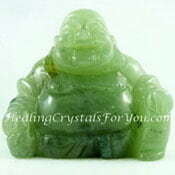 This includes crystals such as Green Kyanite, Green Apophyllite, Amegreen, Red Muscovite, the green Muscovite known as Fuchsite, Seraphinite or Green Amethyst known as Prasiolite. 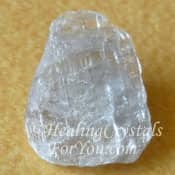 There are quite a few crystals that will combine well with this stone to help you to let go of any addictions you may have. 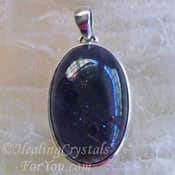 Stones that will help you deal with addictions include Amethyst crystals, Iolite, Sugilite and Purpurite, which are all violet flame stones. 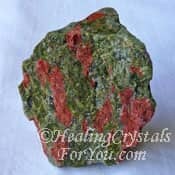 Others that may also help you with letting go of your addictions includes Unakite, Thulite, Dumortierite, Datolite, Hematite Crystals, Black Obsidian or Dravite aka Brown Tourmaline, and they will all combine well with Staurolite or fairy cross stones. 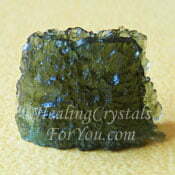 Using it with Moldavite is also powerful, as the Staurolite smooths the energy of the Moldavite, and the Moldavite boosts the vibration of the fairy cross stone. Excellent combination! 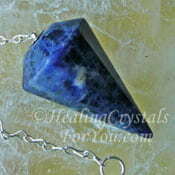 To enhance its action within your psychic senses, use it with Indigo or Blue Kyanite, Herderite or Phenacite. 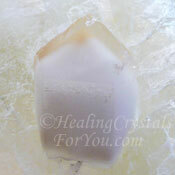 When you are having trouble with stress, combine it with any of the stones in my article on ways to relieve stress. 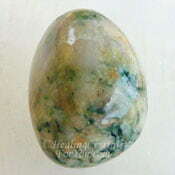 If you have been feeling fearful, you may choose to combine these stones with other crystals that ameliorate fear, including Spirit Quartz, Witches Fingers, Green Calcite, Mangano Calcite, Mariposite, Aurichalcite, Black Jade, Green Prehnite, Vesuvianite also known as Idocrase, Darwinite, Ethiopian Opal, Golden Rutilated Quartz or Shaman Stones. Fairy crosses will aid lucid dreaming, and if this is a reason why you are using it, you might like to combine it with other stones that aid lucid dreaming. 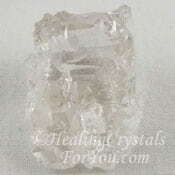 This includes crystals such as Golden Danburite, Covellite, Diaspore, Angel Phantom Quartz, Sodalite, Dream Quartz, Goshenite, Scolecite, Blue Sapphire and Sugilite.